Caroline Puel, European and French citizen, born in 1963, has been following China policy for the last 25 years as a young diplomat, student, journalist and writer. Graduated from the Political Institute in Paris (Sciences Po), she studied Chinese at the French Institute for Oriental Languages and The Chinese Institute of Diplomacy, she quitted diplomacy in 1988 to become a journalist. War correspondent between 1989 and 1996 (China, Cambodia, Vietnam, Afghanistan, India, Pakistan, Indonesia, first war in the Gulf, Iran, Irak, Nicaragua, Yugoslavia) she has been in charge of Liberation office in Hong-Kong between 1993 and 1997 and founded the China Office for Liberation and Le Point, based in Beijing in 1995. 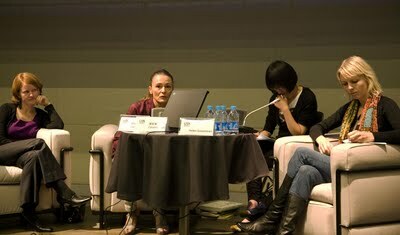 She quitted Liberation in 2000 and has developed Le Point Asia Office (based in Beijing). Le Point is now the first French language news magazine. 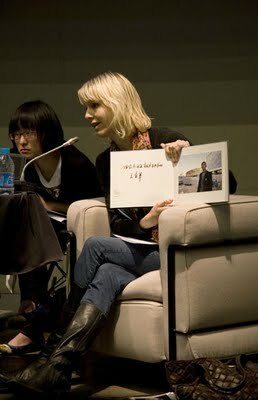 She is also chronicler for Radio France, Radio Suisse Romande, Art Critic (author of more than 15 books about Chinese Contemporary Artists) and Lecturer. She teaches journalism and China Contemporary History in Sciences Po Paris. 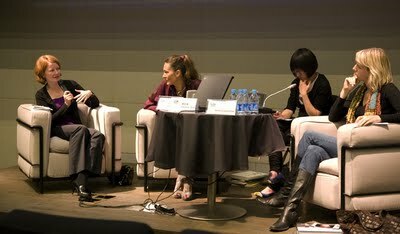 Founding member of the International Women’s Forum Asia (steering committee), President of Sciences Po Alumni Club in China, member of the jury for the best Chinese translator Fu Lei Prize, She received the Albert Londres Award (EQ. 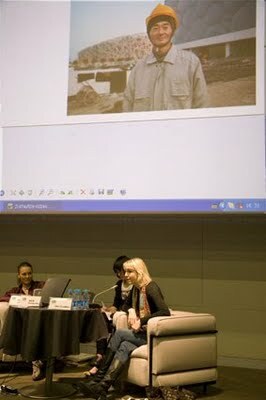 French Pulitzer Prize) for her coverage of China. Helen Couchman was born in 1973 in England and studied art in London, first a B.A. in 1996 and an M.A. graduating in 1998. She has always had a fascination for travel and have when possible worked abroad, working in Armenia, USA and Cyprus. When she first came to Beijing arriving off the Trans-Mongolian train from Moscow she was immediately interested by the city, because of a long held interest in the country and in particular in places that are changing fast. Couchman’s project WORKERS 工人 (2008) celebrates the workers who have built the iconic buildings to house the Beijing Olympic Games. The book documents 143 men and women working on the building site and their signatures. Couchman’s practice often focuses upon buildings, landscape and during the last four years in Beijing the notion if the ‘gift’. Having spent some time at the Olympic site she quickly realised that her interest lay with the people who were making this new city possible. So for the first time she made a portrait project that was constructed of portraits of people other than herself. 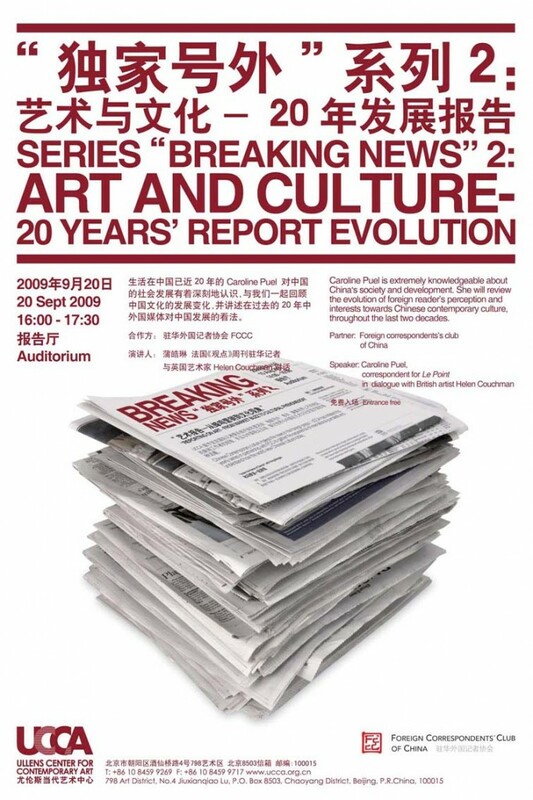 Both her previous exhibitions here in Beijing’s 798 Art District – Gift (2006) and New Work (2007) focused on ideas of exchange and the WORKERS 工人 book stemmed directly from that. Because the participants took home a 15x20cm portrait of themselves there are now homes in the provinces these migrant workers hail from with the portraits either treasured or on display. Couchman is now preparing two new pieces of work to be exhibited in London in November and a new book, Mrs. West’s Hats, remembering her grandmother. Left to right: Lucy Hornby our MC and long time correspondent for Reuters. Caroline Puel correspondent for Le Point who has been in China since 1984. Coco our translator and myself.